What if they gave an election and no one came? Much has been made of the low voter turn-out at the recent local body elections, with pundits, media, bloggers, et al, trying to figure out why voters weren’t motivated enough to bother filling our their ballot. I’ll start with the easy one first, and refer to “brand politics”. Quite simply, unless you happen to be follow local body politics and community issues – one is left scratching their head as to what each candidate stands for. 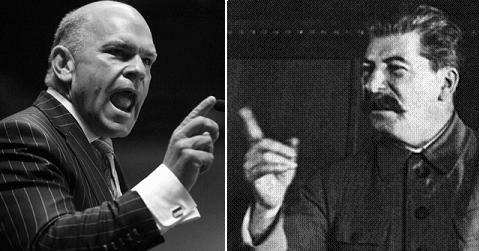 What are their political leanings on the Left/Right spectrum? For example, how many people in Dunedin knew that Hilary Calvert – standing for the mayoralty and Council – had previously been an ACT MP? Calvert’s political background and extremist libertarian views would have a direct bearing on any position she was elected to. 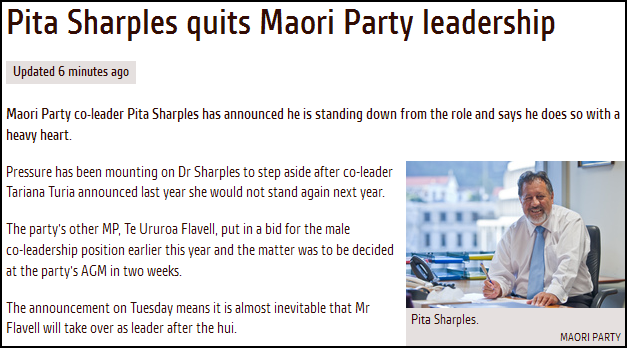 For a Party that garnered only 23,889 party votes (1.07%) in the 2011 general elections, how many Dunedin voters knew they were voting for the radical, card-carrying, member of a failed ideology when they cast their vote for her? Where do candidates stand on the issues such as “core services” vs civic involvement by Councils? Or on contentious issues such as water flouridation? One Dunedin candidate simply listed “water flouridation” as an issue of interest on his election leaflet – without any indication where he stood. Not very helpful. This is where party or group branding is a useful tool for voters. Standing under a group banner with specific policies makes it easier for voters to understand who to vote for. At the same time, Madeleine Foreman from Generation Zero, referred to “a lack of information” as well as “an information overload“. The Auckland group, City Vision, gave voters – who might not otherwise be familiar with candidates – a better idea who to vote for (or not), according to their own political beliefs. I would advocate a greater use of umbrella groups such as City Vision and Citizens & Ratepayers Association (now known as Communities and Residents). As we lead busier lives with more constraints and demands on our time (eg, the fracturing of the country’s electricity supply into a “market”, meaning we now have to shop around for “cheaper” prices) , umbrella groups could make the voting process easier for those wanting to participate – but not quite knowing who to vote for. One wonders how many Dunedin voters voted for Hilary Calvert without knowing her right wing, ACT connections? 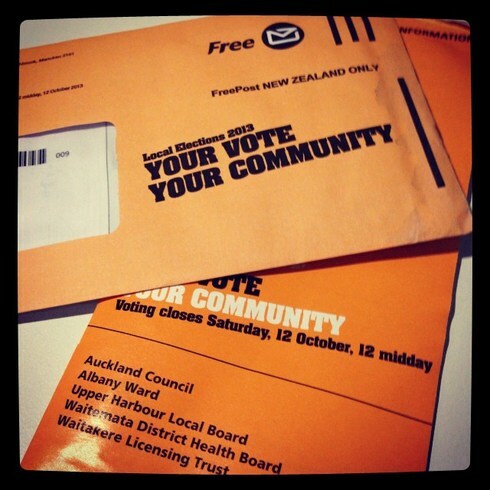 Postal voting is a great idea for some – but not for everyone. The problem with postal voting is that ballot papers can be misplaced; piles of other correspondence placed on top; and otherwise forgotten. We need to run the postal voting system alongside the voting station option. The best rationale for returning to ballot booths is that they are a visible reminder for people to vote. I recall the very first time I ever voted. It was the Wellington local body election and I was driving past the old Wellington Children’s Dental Clinic in Willis St.
Voting stations may be more expensive, but cost should not be a determinant for democracy. As well as reminding people, they are a community-oriented means by which to cast your vote. There are others around you doing the same thing and this builds a sense of social cohesion and purpose. It is the “watering hole” for local democracy. There’s nothing much community-minded to tick a box on a piece of paper and posting it. Or sitting at your computer clicking on a box via e-voting. Sometimes, doing things the “old fashioned way” should not be automatically dismissed as “obsolete”. The biggest fault and brick-bat for the low voter turn-out, I reserve for this current government. John Key’s administration has done more to marginalise local body democracy and engender growing apathy than any other causal factor. 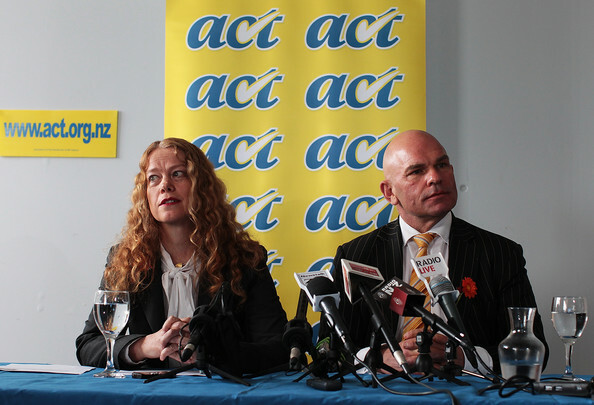 In April 2009, ACT MP and Minister for Local Government, Rodney Hide, refused to allow Aucklanders the chance to voice their opinion – via a referendum – whether or not to create the Auckland “super council”. “The difficulty with a referendum is it would cost a million dollars and it would just ask `yes’ or `no’. 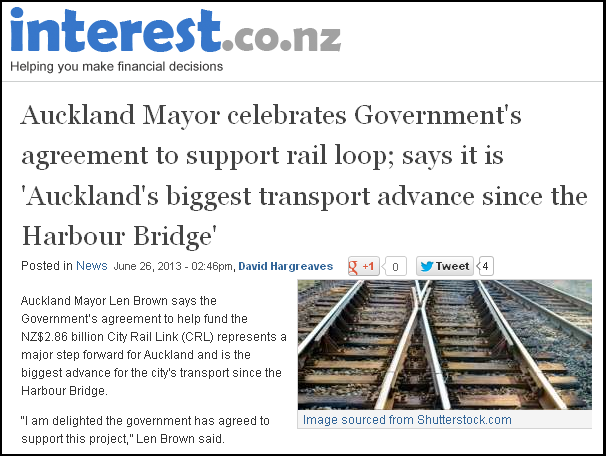 The people of Auckland had no voice in the matter. 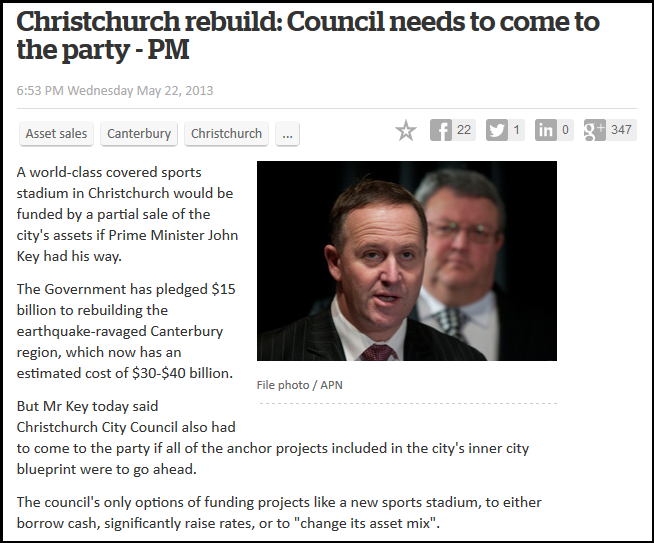 To date, Ecan still has no elected councillors and it’s governing body is appointed by John Key’s government. “...to abolish Environment Canterbury to fast-track large-scale irrigation. Papers obtained by Forest & Bird under the Official Information Act show that from September last year briefings to Ministers and Cabinet papers focussed on the Hurunui and Rakaia rivers and how the Crown could help remove “blockages” to their progress. It appears that National had less-than-transparent reasons for dismissing Ecan’s councillors and replacing democratically elected representatives with hand-picked appointees. The people of Canterbury had no voice in the matter. 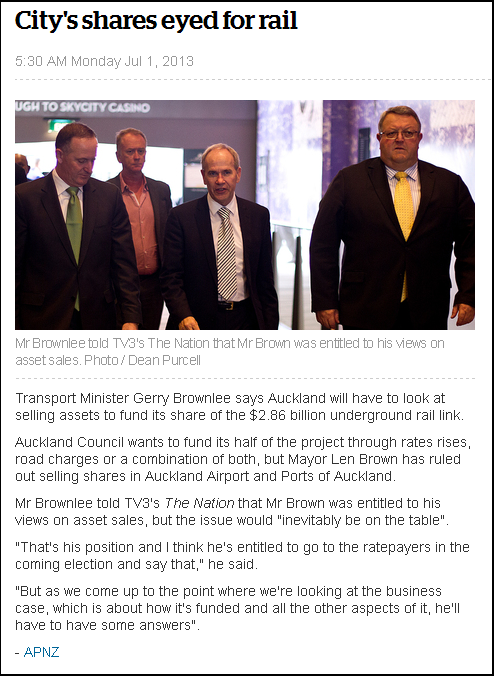 Considering National’s track record on riding rough-shod over community concerns; subverting local democracy; ignoring public opinion; and prepared to dismiss the forthcoming referendum on asset sales – Brownlee’s assurances ring hollow. In fact, National had such faith in the democratic process – including “checks and balances” – that the Canterbury Earthquake Recovery Bill 2011 was rushed through under urgency in July 2011. CERA’s un-elected CEO is Roger Sutton, who is appointed and answerable solely to Minister Brownlee. The Government is becoming increasingly heavy-handed over Auckland’s housing shortage, with talk of a new Crown agency to free up more land. Environment Minister Amy Adams has suggested stripping the Auckland Council of some planning powers for three years to allow a Crown agency to play a role increasing the city’s residential land supply. New Housing Minister Nick Smith has also released a Government report which, he says, shows a worrying trend of reduced land availability and soaring section prices. Last week, Dr Smith vowed to break the “stranglehold” of Auckland Council’s policy of containing urban sprawl – a policy he said was “killing the dreams of Aucklanders” by driving up house prices. National’s heavy-handedness on this matter was in direct response to Labour’s (well-founded) accusations that the current government was not addressing a critical housing shortage in this country. National was content to see urban sprawl for short-term political gain, with Nick Smith’s outrageous hyperbole that the Unitary Plan would result in “killing the dreams of Aucklanders“. 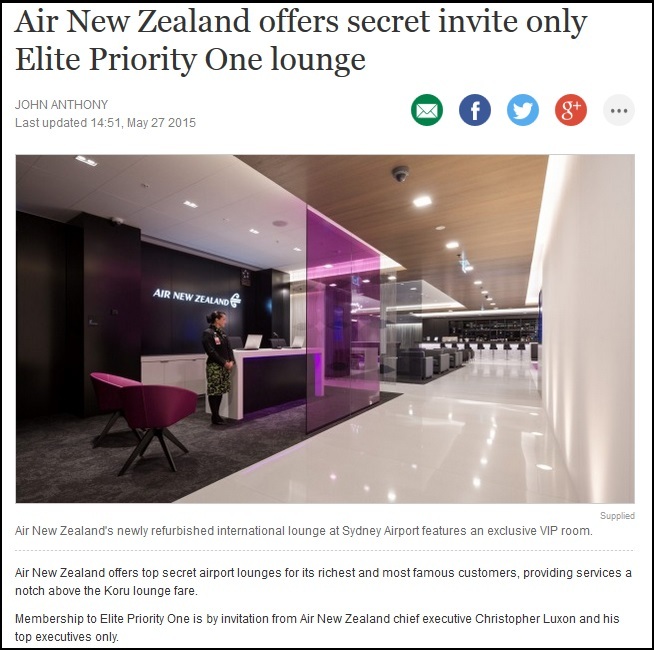 Despite the Auckland super-city being a creation of the National-ACT government, they were unwilling to allow Aucklanders the chance to solve their own problems. One wonders if it wouldn’t be cheaper to simply abolish the Auckland Council and appoint Nick Smith as Commissar for Auckland, and run directly from the Beehive? At least it would be more honest. That’s an awful lot of effort that Smith and his ministerial cronies are putting into an an issue that isn’t really a crisis at all. Earthquake recovery minister, Gerry Brownlee, has an almost ‘schizophrenic’ attitude when it comes to the housing crisis in Christchurch. However, the Government was careful about how it influenced the housing market, he said. If it had jumped in earlier, it could have artificially lowered the appetite of private investors to provide a solution that could be lucrative for investors, he said. Christchurch City Council has been given an ultimatum – sign off the city’s land use recovery plan or the government will go it alone. Earthquake Recovery Minister Gerry Brownlee has lost patience with councillors and says he’ll meet them on Friday in a final bid to solve the problem. If that doesn’t work he’s going to use the powers parliament gave him to ratify the plan himself. The plan allows more buildings on existing sections in urban areas and Mr Brownlee says its a vital to get house building moving. This is what centralised government rule, from a small clique of ministers, looks like. Interestingly, Smith never actually defined what constituted “core services”. “In narrowing their purpose clause, it may exclude them from providing those services, or at least challenge their thinking about whether those services should be provided. So, for example, if central government decides not to house the poorest people in our communities – by reducing state housing – that evidently means that local bodies must also sit on their hands and see homelessness increase? Is that how it works under a centralised National regime? That is what I take from Key’s comments. What voters want is apparently irrelevant. 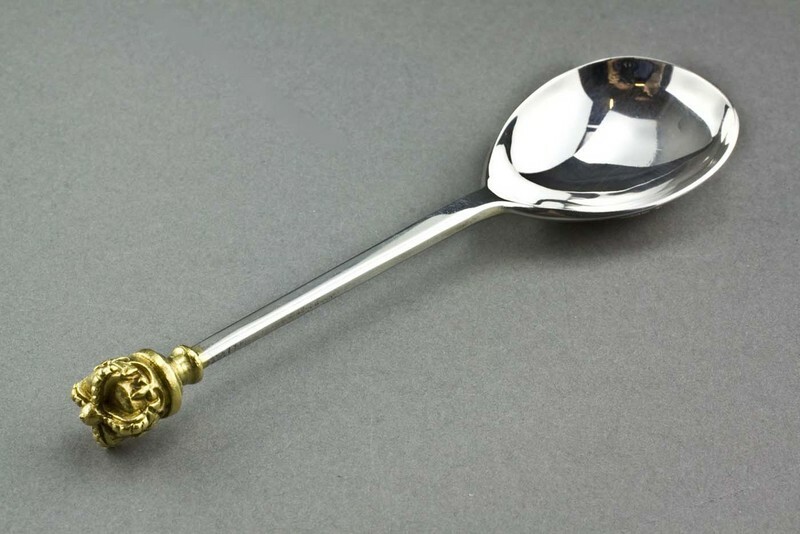 What central government wants trumps local communities needs. Any one or two instances of central-government interference in local body affairs could be dismissed and quickly forgotten. 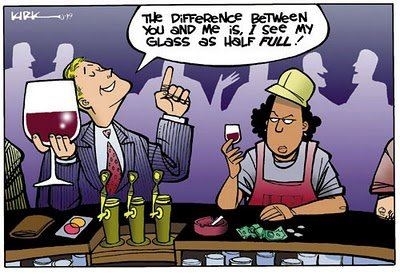 But taken together, there is a growing, pernicious perception (perception?!) that important decisions are emanating from The Beehive and independent local body representation is little more than illusory. One has to wonder how motivated people are to engage in local body politics, knowing that the decisions of their locally-elected representatives can be over-ridden by a minister from central government? If that doesn’t foster apathy, what will? Key and his henchmen/women need to keep their grubby paws of local body bodies. They should have enough on their plate with high unemployment; high debt; critical housing problems; struggling manufacturing sector; environmental problems; etc. 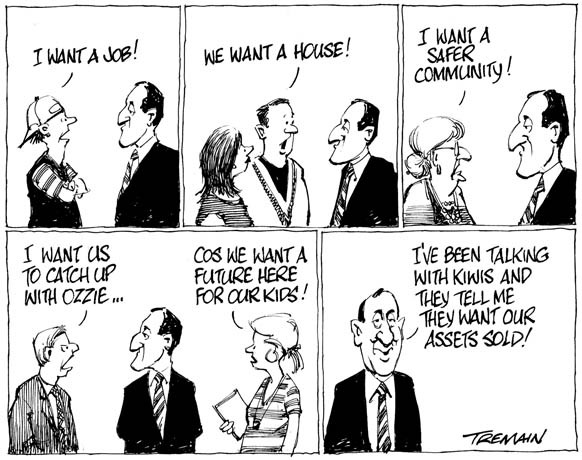 We don’t need a Keygrad and National Politburo micro-managing our communities. This is one instance where the State (or at least central government) can – and should – stay out of our lives. And supreme irony of ironies, it was the Nats who labelled the previous Labour-led governments as “Helengrad”. In reality, Labour was a Libertarian party in comparison to this neo-Muldoonist system of centralised planning and control. “Next time you see John Key smiling, remember he’s not smiling because he likes you, he’s smiling because he’s giving favours to his mates while undermining your democracy. But we have seen all this before… Robert Muldoon would recognise this Government as one after his own heart, but with better spin doctors and a smilier disposition. 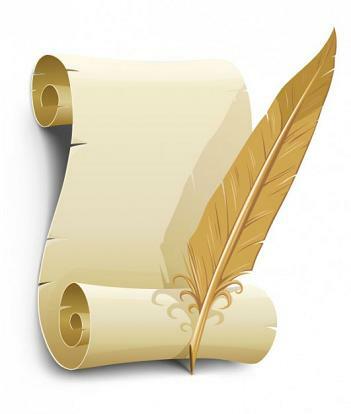 This blogpost was first published on The Daily Blog on 29 November 2013. Waitakere News: Is the Government set to undermine Auckland’s Metropolitan Urban Limit? National’s supposed earthquake recovery minister, Gerry Brownlee was on Morning Report on 2 December, complaining that the small turnout was more about apathy than a “sea change” in public opinion wanting to see a change in government. Is that right, Mr Brownlee? Does that mean that the same can be said of the 2011 election results, which was the lowest voter turn-out since 1887, where over 800,000 New Zealanders did not vote? Or is it a “good result” – despite a small voter turnout – only if the Nats come out of it looking good?